Attention outdoor adventurers.......you are going to LOVE this Deal of the Week! Three bedroom one bath off-grid cabin on 104 acres in Barton, Vermont offers privacy and serenity. Situated on the top of a hill with views of Wheeler Mountain, Mount Hor and Burke Mountain. Includes 360' of owned frontage on Wheeler Pond. This property has access to thousands of acres of Vermont State Land and the Willoughby State Forest - all literally at your front door! $229,500 Click here for more information and contact Travis Casey to see this property. Sit on the covered front porch of this pretty country home in Troy, Vermont and take in the peace & tranquility - it's our Deal of the Week! This 4 bedroom 2 bath home has many updates including a newer roof & dormer and new garage doors with openers. The house features a living room with cathedral ceiling, den with fireplace and loft office. Potential for more living area over the 2-car attached garage. The 7 acre property includes a nice lawn and apple orchard. This is the NEK, at it's finest! $185,000. Click here for more information and contact Dan Maclure to see this home. This is, without a doubt, an exquisite home - it's our Deal of the Week! Quality craftsmanship abounds in this 6,074 square foot home on 27 acres in Lyndon, Vermont. Every attention to detail is reflected in this magnificent home, from the radiant granite floors, architectural windows, ten foot ceilings, two wood-burning fireplaces and numerous built-ins. The first floor has a Chef's kitchen, master suite with huge bath, marble shower and floors, comfortable living space with windows everywhere, large gym and direct entry three car garage. Includes a large in-law/guest suite with kitchen, bath and laundry. The property has a private pond and overlooks Burke Mountain with more long range mountain views. Just minutes from the Caledonia County Airport. This one-of-a-kind property simply must be seen to be appreciated! $829,000. Click here for more information and contact Connie Isabelle for a private showing. Marcy Lindstedt, of our Burke office is Our Agent of the Week! With background of selling in other states, Marcy brings a wide array of knowledge to the table. She specializes in helping buyers find the perfect property for them! Whether you are buying a home for the first time or looking for a vacation home, Marcy would love to work with you from beginning to end. This is a property Marcy recently worked with buyers on. She specializes in helping buyers in Orleans, Essex, Caledonia, and Washington Counties! To contact Marcy, click here. 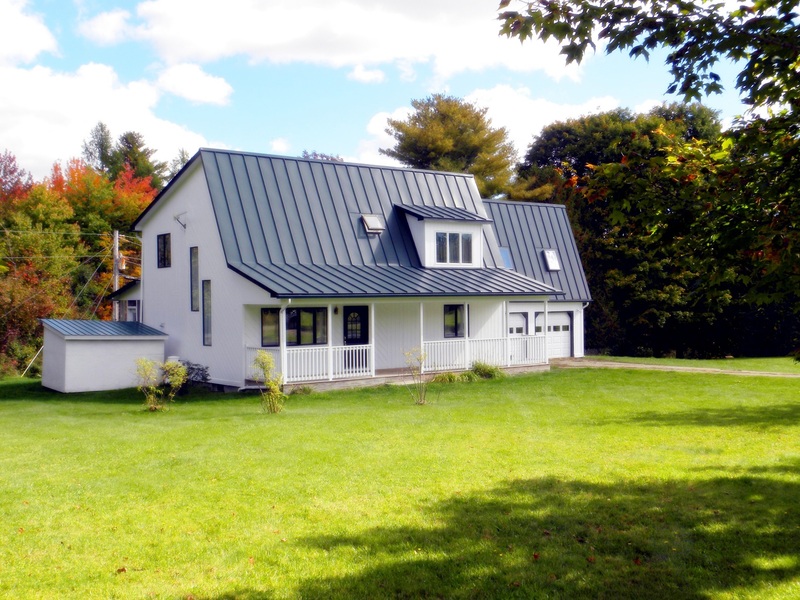 This fabulous A-Frame sits on 1.33 Acres in Burke, VT with 2 bedrooms and 2 baths. Mudroom entrance and plenty of windows for natural light. Glass sliding doors out to the deck which overlooks a nice lawn with Apple Trees. Family room in lower level with walk-out. For more information click here and contact Andrea Kupetz. Check out this spacious five bedroom four bath Log Home in Lunenburg, Vermont - it's our Deal of the Week! Chef's kitchen has granite counters, Viking gas stove and Jenn-Air grill. Open floor plan with large master suite off of main living area. Loft suite and finished basement with three bedrooms, full bath and large Jacuzzi tub. 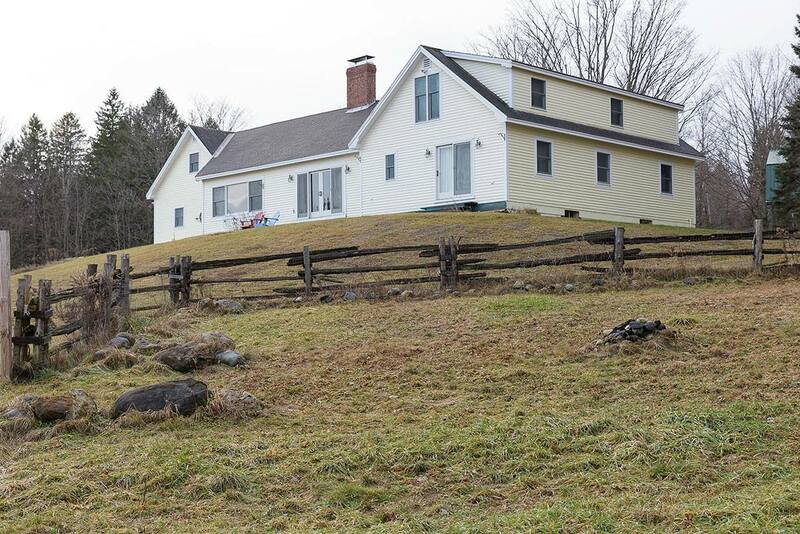 Sits on 15.4 acres with huge back deck with views of the Presidential range. Attached garage. New furnace and automatic generator backup. This is the perfect place to call home or make it your Vermonet Get-A-Way! $399,000. Click here for more information and contact Emma Gunn to see this wonderful property. Century 21 Farm and Forest Realty Named # 2 Century 21 office in the State of VT! Century 21 Farm & Forest Realty was named the number Two Office in the State of Vermont. Century 21 Farm & Forest Realty attended the Century 21 Awards Ceremony last Friday.